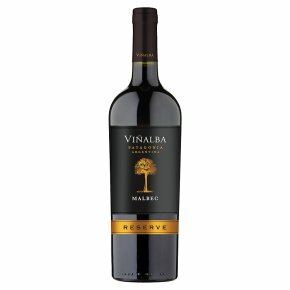 Wine of Argentina.This Malbec is crafted by our own award-winning winemaker Hervé J Fabre. The cooler climate of Patagonia in the far south of Argentina gives this wine an elegant, rich and fruity style, with a complex nose of damsons and chocolate. On the palate it has ripe blackcurrant and cherry flavours, hints of vanilla and a wonderful finish. Enjoy with grilled meat, lamb tagine, or roasted vegetables.